One of the major problems for historians of Buddhism as an Indian religion is that there are no agreed chronological terms. The disagreement extends to Indian history generally. Those terms that we do use in Buddhist Studies are emic (emerge from the received tradition based on traditional concerns) and sectarian, at least in origin. I've already complained that scholars of Buddhism appear to be in love with their subject and therefore far too reluctant to be critical in the way that interests me (and other people who seek to break away from received traditions). There's no significant scholarly support for attempts by contemporary Buddhists to move beyond the limitations of received tradition. In the past I have used the terms "early Buddhism" and "pre-sectarian" Buddhism, but both of these are problematic. "Early Buddhism" is, in effect, simply a euphemism for Hīnayāna. When discussing early Buddhism, we almost always exclude the early development of the that other prominent emic category Mahāyāna, even though these clearly overlap with the time period covered by early Buddhism. Some significant new work has been published recently on the early Mahāyāna showing that it overlapped with the mainstream of Buddhism for centuries, before becoming the mainstream. Those who study early Mahāyāna often exclude late "Hīnayāna" developments from their considerations, even though a figure like Nāgārjuna clearly looks back as much as he looks forward. Some of these divisions are being breached, but the growing prominence of Theravāda bhikkhus in the study of early Buddhism has also reinforced some divisions. We conveniently forget, for example, that the Chinese Āgama texts were not translated until the 5th century. They were not foremost in the minds of missionaries from India for the first four or five centuries, but were translated only when some attempt at comprehensiveness was being made. They were translated as an afterthought. Some so-called Mahāyāna movements are just as divergent from say, Prajñāpāramitā, as Theravāda orthodoxy is. Pure Land Buddhism, for example, has almost nothing in common with Prajñāpāramitā Buddhism. So, emic rubrics are often deceptive if used without due consideration of what period of history the label is being applied to. And, at present, we apparently have no way of stepping out of the various traditions and categorising history objectively. All our terminology seems to come from within the traditions. "What Pagels did not find during the course of her research was a “golden age” of purer and simpler early Christianity. It was not monolithic, but included a variety of voices and an extraordinary range of viewpoints, among saints and heretics alike—the “saints” being the ones who won. From a historical point of view, then, there is no “real Christianity”." "This directs our attention to an important feature of religious traditions: they may preserve inconsistencies, but are at the same time likely to explain them away. This observation should be heeded by those who point to traditional interpretations of seeming inconsistencies." We see a steady stream of apologetics from religious Buddhists, particularly from the Theravādins arguing for such propositions as the "authenticity of the texts" or "the truth of rebirth". Authenticity only bears on the authority of the texts, and authority is only interesting when one is using the texts to legitimate an idea or practice. Anthropologists are interested in how religious people use the concept of authority to justify their behaviour, and historians might trace the use of texts as sources of legitimacy; the assertion that the texts are "authentic" (i.e., are what they represent themselves to be) is a religious concern. And one that refuses to die despite the absolute absence of evidence to back up any argument. The term "pre-sectarian" is based on an assumption rather than evidence. There is no evidence for a pre-sectarian phase of Buddhism apart from the traditional religious hagiographies of the founder of Buddhism. And remember, that founder's name is something we cannot be sure of, and that man is not mentioned in any contemporary literature outside Buddhism. He may not have existed. And the first evidence of Buddhism is centuries after the putative time of the founder. Similarly, notations based on nation states or ethnicity are exclusive in unhelpful ways since Buddhism often took centuries to develop a distinctive national character, if it ever did. Sometimes the apparent unity in a nation is due to failure to see the differences. In the case of China, influences to and from India flowed until the end of Buddhism in India; Chinese Buddhism was far from static. China is diverse in so many ways, including in the forms of Buddhism that it adopted and produced. In the West we have this unfortunate tendency to talk about China as a relatively uniform place, with, for example, a Chinese language when, in fact, China is at least as linguistically diverse as Europe is. The number of people I meet who are unaware that Japanese and Chinese languages are not even in the same language family is embarrassing. Anyone talking about Buddhism regularly has probably experienced the cognitive dissonance of referring to a Westerner as a "Tibetan Buddhist" - the person is not Tibetan, the Buddhism is. But it's not as though Tibetan Buddhism is uniform enough to be a homogeneous category. It isn't. It's simply that we are unaware of the diversity. Making the Tibetan diaspora seem more unified that it really is helps the campaign against Chinese rule, for example. It's much snappier to refer to the "Tibetan people" and their "leader" the Dalai Lama than to acknowledge the diversity and sharp divisions that existed before the common enemy appeared to unite them. Another category widely used these days is "Mainstream". It's used to refer to non-Mahāyāna Buddhism, as a substitute for early Buddhism (because that term is widely acknowledged to be problematic). If we look at Indian Buddhism in the two centuries spanning the beginning of the common era what we see is that at all times the Mahāyāna, in a wide variety of forms, is present and grows in importance. The Abhidharma project is also present and perhaps dominant throughout, but divided along multiple sectarian lines, with most sects ignored by modern scholars (partly because we lack sufficient information about them to pay attention to). But is the Abhidharma "early"? Not early, early, for sure. And it continues to be studied by monks right down to the present. Some parts of Greater India harbour progressive and even transgressive innovators while others harbour the deepest conservatism. At the beginning of this period the mainstream is probably Abhidharma oriented, depending on where one looks, but by the end of the period the balance has shifted towards some form of Mahāyāna and Mahāyāna is itself beginning to coalesce as a distinct approach to Buddhism from a series of unrelated cults. So "Mainstream Buddhism" is meaningless unless it is qualified with a time and place and a keen understanding of the history of Buddhism in that time and place. What was mainstream in 1st Century Gandhāra was almost certainly not mainstream at the same time in Magadha or South India. Two centuries either side of that date completely different forms of Buddhism might have been mainstream. So mainstream turns out not to be a viable short-hand either, though it is as widely used nowadays as early Buddhism. I've been reading some Chinese Buddhist history recently, and in these texts the authors simply adopt the time periods of Chinese history generally without privileging the history of Buddhism the way Buddhist Studies scholars do when discussing Indian Buddhism. I think the lack of suitable time period notation for Buddhism may reflect a lack in the study of Indian history. In order to remedy this I'd like to propose a basic notation for Buddhist history which avoids emic categories. In this I draw on the terminology that has origins in the study of the European history of ideas as it has been adapted to Chinese historiography. I began discussing Buddhist historiography and dates in an earlier essay: The Very Idea of Buddhist History. Some of my comments here assume that the comments made there, particularly with respect to dates, are familiar. The origins of Buddhism are on the margins of the second urbanisation and thus the emergence of the second urbanisation is a key milestone in the history of Buddhism. There is considerable evidence for the second urbanisation, which supports the Two Cultures hypothesis promoted by Geoffrey Samuel and Johannes Bronkhorst amongst others (one culture being Brahmaṇa and the other Śrāmaṇa). If there was a single founder figure, he lived in this period, though I suspect that the Śrāmaṇa culture gave rise to new ideas collectively and only in retrospect were they ascribed to a founder figure. There is no archaeological evidence for Buddhism in this period, no external corroborating evidence of any kind. The only evidence for Buddhism at this period is that texts appear to be set during the second urbanisation: walled cities are featured, for example. As I have said, above, to the best of my knowledge there is no evidence for a pre-sectarian phase of Buddhism. The earliest evidence we have is already pluralistic; though the texts do contain founding myths which suggest unity, the actual diversity of the basic teachings on any subject suggests that if there ever was a unified period it was very short-lived indeed. This is not inconsistent with the primitive legends of the founder teaching disciples and sending them off to teach on the basis of their own experience. On this Canonical account, if there is any truth to it, diversification must have begun with a year of the founding of Buddhism, as each of these teachers expressed the experience of awakening in their own terms. I have argued that we have a predisposition or bias to see the past as simpler than the present, and to see the past converging. This is partly because our view of the past is conditioned by the metaphor of the tree. This view biases us towards seeing convergence in the past. I've argued that the tree is the wrong metaphor for many evolutionary processes, including the development of Buddhism, and that a braided stream would be a far better metaphor: See Evolution: Trees and Braids (27 Dec 2013) and Extending the River Metaphor for Evolution (28 Mar 2014). The founder myth suffers from confirmation bias. For example, the existence of two contradictory narratives of the Buddha leaving home doesn't undermine our confidence in the myth. The fact that Gotama is an extremely unlikely name for a non-Brahmin, because it is a high-prestige Brahmin gotra name associated with the composition of the Ṛgveda and the lineage of teachers of the Bṛhadāraṇyaka Upaniṣad, or that the name Siddhattha is never found in the Pāḷi texts, does not undermine our confidence that the Buddha's name was Siddhattha Gotama; or that no one in the Buddha's family is called Gotama except his mother and aunt (in a culture were women did not take their husband's gotra name) despite it being natural for his father to be referred to as Gotama if it were the gotra name of his family (in which case our man would be Gotamaputra or some other diminutive). And so on. Contradictory evidence is simply ignored, and its difficult even to get it published. From the period following Asoka, with the collapse of the Mauryan Empire and the rise of smaller political units and the rise of a Brahmanical social hegemony, the basic forms of Buddhism as we know it begin to emerge. Large-scale, settled monasteries, supported by rulers and wealthy merchants became the central institution of Buddhism. The religion is vigorously evangelical and begins to spread to the edges of the Mauryan Empire and beyond. Buddhist texts are formalised, canonised, and begin to be written down within a a century or two of Asoka. Monastic rules exist in a number of recensions and continue to diverge. The different Abhidharma projects, partially aimed at fixing problems inherited from the formative period. These problems are also now denied by Buddhists, but were once the subject of considerable debate and controversy, as evidence from intra-Buddhist polemics that have survived. From the time of Asoka we begin to see what we might call Classical Buddhism emerging in texts and archaeology. I therefore would like to call the period before Asoka "Pre-classical" and the period beginning with Asoka "Classical". The Pre-classical period was marked by the oral transmission of texts, with a minimal footprint in terms of social or cultural change (no archaeology). We know nothing for sure about this period in history, but certain features of the texts suggest that they were composed after the second urbanisation had started and before Asoka. This is about as much as we can say. In Classical Buddhism, ideas are moving beyond the founder myth. At the same time we see the emergence of conservative codifications of dogmas and progressive innovations aimed at getting to grips with the problems inherited from the pre-Classical period. The Classical Period includes the development of sectarian Abhidharmas and the emergence of distinct Mahāyāna sects. It was the period when missionary activity spread Buddhism beyond the limits of Asoka's empire into South India and Sri Lanka in the south, into Burma and South East Asia to the East, in West and North into Persia and Central Asia. However, it was also the period when Brahmanism was beginning to dominate the intellectual and religious landscape across Greater India and leave a massive footprint on Buddhism as well. The roots of Mahāyāna are presumably already present and various forms of Mahāyāna practice emerge alongside the mainstream, in the same monastic centres, initially as a series of disparate and distinct cults that have little in common. Standalone sūtra cults focussed on the Saddharmapuṇḍarikā, for example, are in existence and mature and coalescing into the Mahāyāna. By the end of the Classical Period the era of major sūtra composition is also over. Key figures of the Classical period include Nāgārjuna, Vasubandhu, and Buddhaghosa. With these thinkers, Buddhist thought begins to drift away from Canonical texts as primary sources and towards sāstric or commentarial texts. Sūtras continue to be important, of course, but they are now interpreted through the lens of sectarian śāstra. A pattern that continues down to the present. A feature of the Classical period is the gradual adoption of Sanskrit as the lingua franca of India, influenced in part by the hegemony Brahmins now asserted over India. Buddhists began to ignore the canonical injunctions against translating their story into Sanskrit (in favour of the vernacular) and joined other groups in adopting the language. Texts in Prakrit are translated into Sanskrit. New texts are composed in Sanskrit, sometimes a mongrel Sanskrit-Prakrit hybrid, but increasingly often in compliant Pāṇinian Sanskrit. The Pāḷi tradition dies out in India, but continues in Sri Lanka, Burma and South East Asia; with Burma and SE Asia apparently receiving their texts directly from South India rather than via Sri Lanka (according to Alex Wynne). I locate the end of the Classical Period at the collapse of the Gupta Empire under pressure from Huns, in the mid to late 6th Century. This was the first of a series of incursions from the West that would contribute to the elimination of Buddhism from India. With the end of the Classical Period we move into the Medieval Period (essentially this means a "middle" period between the ancient, or Classical period, and modernity). Chinese history is usefully divided in early and late Medieval periods, which may be relevant to India, as well. The collapse of the Gupta Empire seems to have been particularly cataclysmic for India. As narrated by Ronald Davidson, the result was a breakdown in civil order and trade routes with resulting isolation of cities in stretches of lawless wilderness. If we take the elimination of Buddhism in India to be a key milestone in the history of Buddhism, which occurred sometime in the 12th century, this would mark the horizon between early and late Medieval Period. By the late Medieval, Buddhism is wholly non-Indian and the development into different sects based on local culture is no longer anchored by developments in India. By the early medieval period Mainstream Buddhism is thoroughly Mahāyāna. Whether there are any non-Mahāyāna schools left by this time is moot because the central institutions, such as the large monasteries, are all dominated by Mahāyāna practitioners. However, in the Medieval Period there is a strong challenge to the Mainstream from the emergence of Tantra. Before too long, the Mainstream is Tantric. And this is the essential problem with the term "Mainstream": what it means depends on what time period is under discussion. Buddhism reached out beyond India in the classical period, becoming established, at least amongst the elites, as far afield as Korea, Japan, and Thailand. Tibet, however, was converted during the early Medieval Period. And this leads to some very significant differences between Buddhism in Tibet and surrounding regions compared to East Asia. Also, the Silk Route broke down around the 8th century with the expansion of Islam into Central Asia. This meant that Buddhism in China and its vassal states ceased to be anchored in India before the eventual demise of Indian Buddhism. Japanese Tantra, for example, did not incorporate significant developments in Tantra that are epitomised by the Hevajra Tantra: the rise to importance of female figures and sexual symbolism. The last phase of Indian Buddhism is dominated by Tantra and developments from the Tantric milieu. Tantra rises to become a major force in Indian religion generally, alongside Mīmāṃsā, Vedanta, Yoga, Vaiṣṇavism, and Śaivism. Buddhist Tantra draws on Śaivism, increasingly, as time goes on. 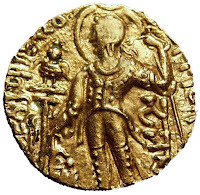 250 BCE - 500 CE Classical (First evidence of Buddhism, formalisation of the basic tenets, move to Sanskrit and Śāstra, ends with collapse of Gupta Empire). All of the dates are approximate and do not represent hard boundaries, but milestones that serve only to divide history into manageable chunks for us to think and write about. Such periodization is always notional and to some extent arbitrary. If we are ever to understand Buddhist history as a whole we need to step outside the emic, sectarian straight-jacket and study Buddhism both synchronically (all the Buddhism being practised and thought about at a particular time) and diachronically (the history of ideas across time). With diachronic studies we definitely need to pay more attention to the long term, tracing how ideas change as we move from period to period. Central ideas like karma change considerably, for example, and yet we still tend to talk about karma as a unitary phenomenon with a single well understood definition. This impression of uniformity is completely false. The doctrine of karma was the locus of considerable competition and innovation for Buddhists. And in synchronic studies we need to break out of sectarian categories to reflect the pluralism of Buddhism more accurately. Particularly, we need to stop thinking of the Pali texts as "Theravādin" or representative of the Pre-Classical period. Of course, we have more texts in Pāḷi than other Indic languages, but this fact has been transformed into a measure of significance or importance. After the Common Era the Pāḷi texts played almost no role in the history of Buddhism in mainland India. Serious money is now going into the study and translation in English of the Chinese texts, which might help to correct this imbalance, but these texts are being studied by people with a vested interest in the idea of the historical unity of Buddhism. Big money is also involved in producing a proper critical edition of the Pāḷi Canon, but this project is sponsored by a cult, the leader of which is being prosecuted for financial irregularities. One gets the sense that the Gāndharī texts might just be languishing because the preservation and conservation costs means that they are far more expensive to work with. Certainly information about the Gāndhārī texts we have continues to emerge at a trickle - we do not even have published texts for all of them yet, let alone translations and studies. And since they are the oldest Buddhist manuscripts in existence they ought to be a priority. My suggestion may mean that we have to avoid getting bogged down in details and try to get an overview of the themes in each time period. It may also require subdividing time periods to avoid information overload. The Classical Period is particularly dense, for example, and may need, for example, an early and late sub-division. But the divisions ought to be based on major historical milestones rather the sectarian or purely emic categories. And, ideally, any synchronic study will take in the breadth of Buddhist ideas and practices current in these times, rather than, as now, focussing on particular sects or individuals. We also need to more closely link the history of Buddhism to the history of India generally, to see Buddhism in its social and political context. One can sympathise with all those Nāgārjuna scholars who are still trying to puzzle out what the man was getting at (mostly without trying to replicate the kinds of experiences that informed and underpinned his work), but it seems to happen at the expense of the broader history of Buddhism in the second century. And since his principle commentators are in fact Medieval, he tends to be tacitly time-shifted to a later period. Nāgārjuna with respect to his own commentators is somehow more important than Nāgārjuna in relation to his own contemporaries. On the contrary, Vasubandhu is often seen to be arguing with his contemporaries and his work is over-cited as representing their views when that can be misleading. Buddhists are notoriously bad at misrepresenting their enemies, both Buddhist and non-Buddhist. There are barriers to this approach. The Classical texts are preserved in Pāli, Chinese, Sanskrit and Gāndharī, as well as a few in Central Asian languages. To do a thorough job one must have access to the texts in their original languages. Though if one was to start early with Classical Sanskrit and Mandarin, adding Pāli, Gāndharī and Middle (Buddhist) Chinese as required, this ought to be manageable. After Sanskrit, Chinese grammar is mercifully simple, even if the writing is not. Scholars of classical Greece often learn Latin and Greek from a relatively early age and may already have a degree of fluency before starting an undergraduate degree. Ideally we'd have scholars who learn Sanskrit and Mandarin in high-school with a view to studying Buddhist history at university. This is unlikely to happen in Western Countries any time soon. Perhaps because of the language requirements, and with having to start from scratch at university, so many of us focus on philology and philosophy, or perhaps anthropology; there are too few trained historians working in the field of Buddhist studies. The lack of research based on sound historical principles definitely hampers progress in understanding Buddhism. Perhaps we need to think in terms of interdisciplinary teams of researchers rather than the typical individual jack-of-all-trades who knows Indic languages fairly well, but has little or no training in history or anthropology? Lastly, a scheme like this means nothing in isolation. Adoption of an historical schema unilaterally, especially by someone who is not part of the mainstream, will change very little. Influential academics need to acknowledge the problem first (by which I mean the problem of trying to discuss Buddhist history in terms of emic terms and categories). There is some progress on this as many scholars are aware of the problematic nature of how we categorise and periodize Buddhism, but solutions to date have been piecemeal, such as using "mainstream" to replace the euphemism "early Buddhism", when we all just mean Hīnayāna but are trying to avoid the unpleasant connotations of that foul word. Even if someone does set out a better alternative, getting a majority Buddhist Studies scholars to adopt this new scheme is likely to be difficult. Even so, the current situation is confused and confusing and the more of us who say so, the more likely the situation is to change.